Daycare centers are nothing without the caring staffs that run them. 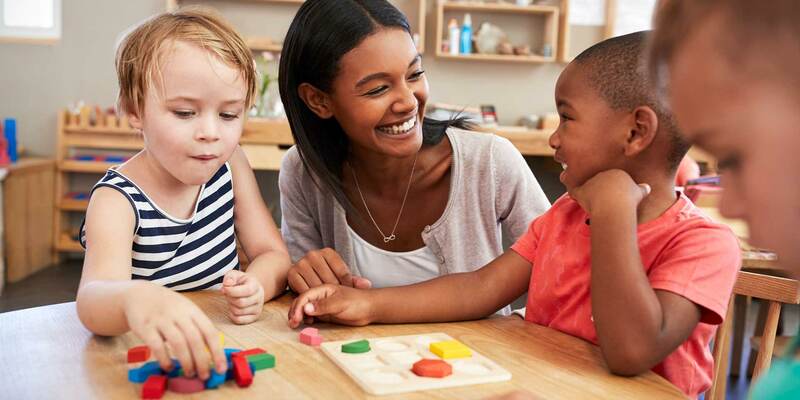 A committed staff of instructors ensures your child care business can thrive, as staffing is of critical importance to daycare owners, parents, and children. As a business owner, you need these qualified professionals to provide high quality care to the students that attend your center every day, as well as to ensure your center is meeting state licensing requirements for student-teacher ratios. Staffing is also critical to enrollment, as parents will be assessing the level of care their child can receive, ensuring that staff is qualified and available to provide their child individual attention. Also, children build trust and relationships with the caregivers they interact with each day, meaning a level of consistency is important. To ensure your daycare is not spending money unnecessarily, it is important that only the required number of staff are scheduled each day to meet student-teacher ratio requirements. This means that staff will need to have some flexibility, as there may not always be the same number of children in attendance each day. For the most part, your center will be able to establish its peak hours and schedule staff accordingly. To do this, centers need to keep accurate attendance logs. Each day at check-in and check-out, have parents record the exact times their child arrived and left. From there, you will be able to determine when you will need to schedule more staff. Make sure to do this for each enrollment cycle, as peak and off-hours may shift. Once these hours are established, try to maintain consistency with the days and hours you assign to each caregiver. This will help them plan their week and will ensure they are available when needed. It is also a good idea to have a staff member on standby, in case there are more students than you expect. Of course, there will be times when staff members need to take time off or are sick. It is important to track planned vacations and other employee off time so that schedules can be altered in advance. This will save you from scrambling to find a substitute at the last minute. Keeping employee records for hours and off time will also help you to accurately calculate payroll. If hours change, someone calls in sick, or more children are dropped off than usual, your center should have a central hub for communication so that all staff remain updated and on the same page. When leaving coverage up to individual staff members, centers risk being understaffed or having too many employees arrive for the shift, which is inconvenient for them and you. Having a central email or central document can ensure this does not happen. In addition to providing a more manageable week for your staff, it is important that there is a level of consistency in your scheduling for the children at your center. It is important for children to develop a relationship and comfort level with their caregiver. Therefore, centers should try to ensure that the same instructors are paired with the same children each day when able. Having a consistent, organized daycare staff schedule is integral to running your business as well as to the happiness of your staff, parents, and children. Following these tips will ensure your center is always properly staffed, meets ratio requirements, and remains within budget. Learn how Procare can how you track staffing and daycare schedules.